Which sign to choose? 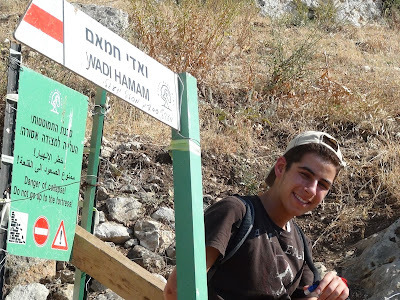 (S'dei Chemed Camper Hiking in Israel). Bechirah, being able to choose, is one of the core elements of being an Orthodox Jew. Yet, how much free will one truly has, has always been up for debate. Some find it difficult to recognize free will when there is an all knowing G-d, yet it must exist if we are to believe in reward and punishment. Ancient philosophers tried dealing with what seems like an inherent contradiction, but more interestingly modern science is now having a difficult time with it as well. A young child is certain that he has free will and yet the more we learn about the brain, evidence keeps piling up that we are nothing more than powerful machines that are just pre-programmed from birth. Just recently an article was released that made quite a stir "Scientific evidence that you probably don’t have free will". It's a remarkable insight into what we now know about the human brain. Yet, while we know so much, science is facing the same dilemma that believers in G-d always did; how much free will do we really have? Being that I'm not a Neuroscientist or philosopher I'm not going to even tackle the question; you can click the link if you so choose. In this weeks parsha we have the famous question of free will with regard to Pharaoh and so I have chosen to post something my father wrote many years ago. I'm sure you will find it interesting and something to discuss at the Shabbos table. You may also have a look at this article but just keep in mind the date of publication ;-) Neuroscientists: We Don’t Really Know What We Are Talking about, Either. When it came to the last five makos we find a most interesting thing. Suddenly, Hashem hardened Pharaoh’s heart so that he would be unable to do as he pleased. Pharaoh lost his power of choice. He no longer could decide to let the B’nai Yisrael out. Hashem would not allow him to do so. This power of choice, called bechirah, was completely taken away from him. He was totally unable to make a decision to let the Yidden out. He was like a hypnotized subject, totally under the control of the hypnotist. Pharaoh was no longer in control of his decision making power. This, of course, raises a number of serious questions. Firstly, is it actually possible for a person to lose his power of choice? Didn’t Hashem give a human being this very important power to be able to make his own decisions? Why is it then taken away from him because of his sins? How can Pharaoh now be punished for his actions when he no longer controlled them? How can a person without choice be punished for his misdeeds? Why should he be held responsible for his actions if they are beyond his control? In fact, this actually leads us to a second question. Hashem decreed that we are to be slaves in Mitzrayim for 400 years. Why punish the Egyptians if they are actually doing Hashem’s bidding? In order to answer these questions, let’s take a look into the Rambam Hilchos Teshuva who devotes the entire Sixth Perek in order to answer these questions. Let’s just give it to you in a nutshell. The Rambam says as follows: "Sometimes a person is so bad that on account of his great wickedness he is punished by losing his power of repentance. He no longer possesses the capability of doing teshuvah for his actions. This special power of teshuvah which every person possesses is taken away from him on account of his terrible sins." Perhaps one can compare it to a person who takes drugs. After taking the drug it becomes impossible for him to stop. He becomes addicted to it to the point where he loses control over himself - even though he knows beyond any shadow of a doubt that it will lead him to complete disaster. He will lose his job, he will destroy his life, he will eventually die from it and yet he is unable to overcome his terrible craving for it. The punishment for his taking of the drug is that he loses his self-control and eventually kills himself because of it. Great tzaddikim and neviim always prayed to Hashem that He help and protect them so that their sins do not turn into a roadblock and become a barrier which prevents them from doing teshuvah. Even when we sin because of our weaknesses in character, we all know that we all have the possibility of wiping away our sins by doing teshuvah. Yet we must always be on the lookout that our sins don’t chas v’sholom become a barrier and bring us to the point where our desire to do teshuvah is gone. One must therefore always pray to Hashem that He enlighten us to see the true and proper path in everything that we do, and not to be led astray by all the false ideologies that unfortunately have torn many away. We ask Hashem to help us reach the real truth - to understand how to serve Him properly and not to be fooled into believing in false truths that so many millions of others believe in. Yet, even though Pharaoh lost his power of repentance, it was never decreed upon him to be the one to torture the Jews. This was something that he did on his very own. Never did Hashem decree upon any individual Egyptian that he must be the one to harm or hurt the Jews. All Hashem said was that the Jews would be slaves in Egypt for 400 years. However, which one of the Egyptians would be the one to be cruel to them and torture them was a personal choice and not forced upon him by Hashem. Therefore, he will have to stand trial for his actions. The Rambam explains this more extensively in the Eighth perek of his famous introduction to Avos and can be found in the back of Meseches Avodah Zoroh. There he explains that Pharaoh wasn’t being punished for not letting the Jews out after the first five makos, since this was beyond his control. He was just being punished for enslaving the Jews and torturing them. He was being punished for the great pain he inflicted upon them. This act of choice was never taken away from him. He did it on his own. He was in complete control of his decisions. Just because Hashem said that the yidden would suffer in Mitzrayim didn’t force him in the slightest to be the one to hurt them. 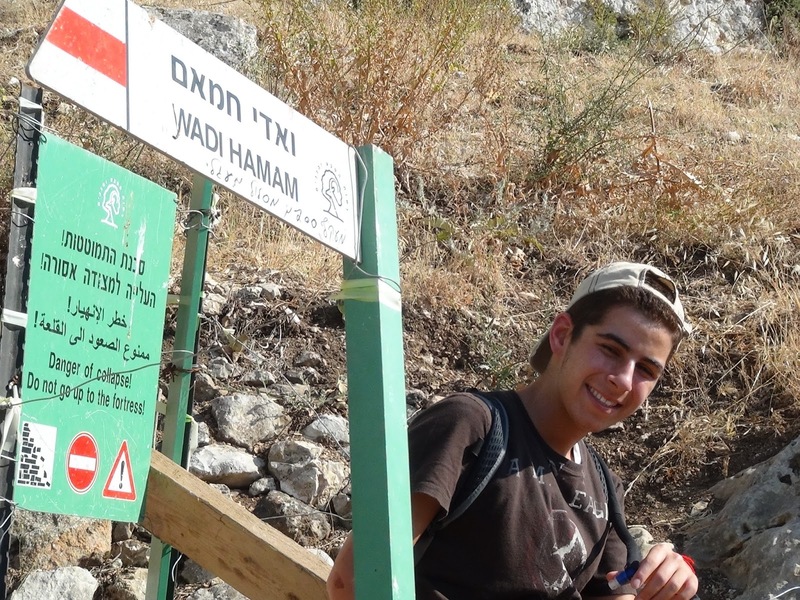 Just because Hashem prevented him from saying they could leave, didn’t mean that he had the right to torture them. He could have allowed them to remain in Mitzrayim and given them full freedom such as Jews have in the U.S.A.. It would be absurd for a murderer to plead to a judge that he be judged not guilty since whatever happened is certainly G-d’s will?! Was it G-d’s will that decreed that the person he killed deserved to be killed? Yes, this may be true! Yet, nowhere was it decreed that he act as God's executioner! Hashem could have gotten a snake to do his dirty work for him or perhaps have him fall and get hurt or kill himself. He acted of his own free choice and therefore he must be take responsibility for it. So too the Egyptians would be punished for all the pain and suffering they inflicted on the Bnai Yisroel. Yes, Pharaoh lost his ability to allow the yidden to leave, yet he still had the freedom of choice as to how he would treat them. Any wickedness was certainly punishable. Let’s hope and pray to Hashem that our sins will not chas v’sholom prevent us from doing proper teshuvah.